This week, we are very excited to bring you a gorgeous giveaway from Saffron Craig! 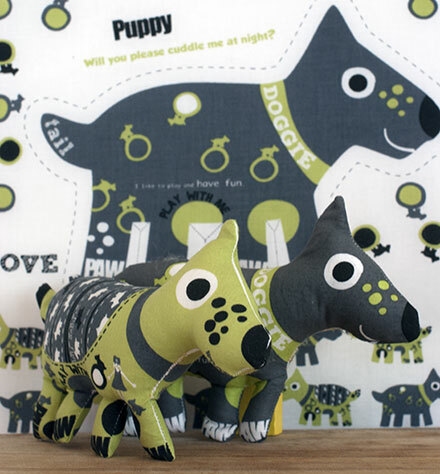 Saffron Craig is an Australian fabric designer based on Sydney's Northern Beaches. Her mission is to inspire others through her own creativity. Her beautifully designed fabrics can be transformed into quilts, bags, clothes, wall hangings, cushions, or anything your heart desires. 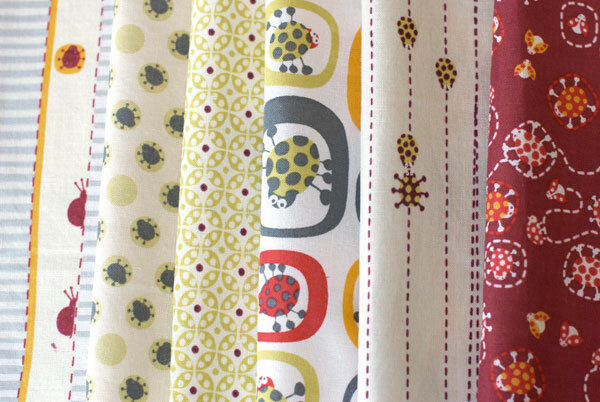 Saffron Craig's new contemporary fabric designs are inspired by the Australia she loves. It's the spirited, natural surroundings that come through in her dreamy fabrics. She grew up in a small coastal town in NSW and spent hours walking through bushland imagining a world of her own. She finds pockets of beauty everywhere in the natural world, from the whimsy and subtlety of her dandelion print to the whirling ginkgo blossoms and the cute, quizzical owls in trees. Saffron begins her process by hand drawing the motif, before working her design into a finished product on the computer. 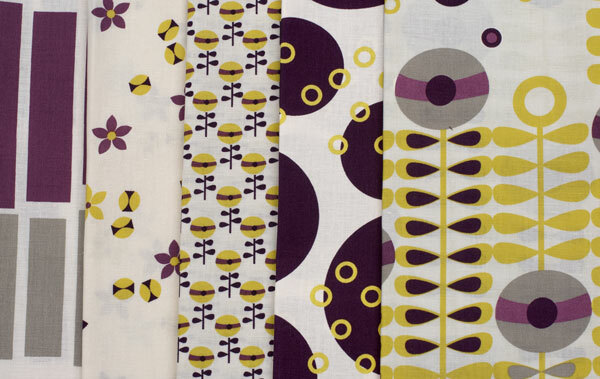 With a strong background in fashion design, Saffron came to be a fabric designer when she found that unique and contemporary fabrics are a rare commodity and decided to print her own designs. 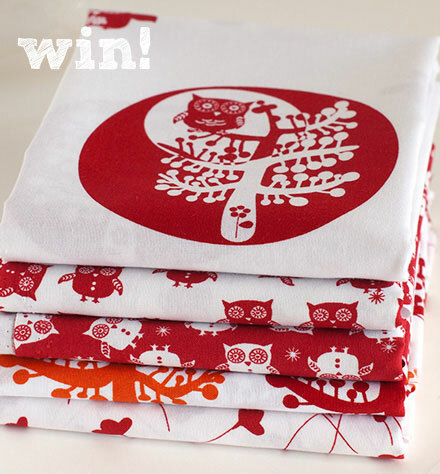 We have a gorgeous bundle of Saffron Craig's owl range to giveaway to one lucky tickle the imagination reader! visit the Saffron Craig website and signup to their newsletter (you'll receive 10% off your first purchase!). The winner will be contacted by email and must reply with their postal address with 14 days of notification. In the case that the winner does not contact us, a random draw will take place from the remaining entrants. This prize is not transferable or redeemable for cash. "Little Birds Indigo", indeed would go most beautifully with my collection of bird fabrics to make a quilt to wrap me up in the fluttery feathers of the creatures of the sky at night when Im bound to the earth. Me thinks that the beetle-bugs range would be perfect for a little boys room. It is so hard to find awesome fabrics for boys, so this would be my pick! It is my favourite... Thanks a million. All done! I love Saffron's fabrics and have quite a collection - but no imaginary flowers. My fave is spots and bubbles. Oh! I would probably make a dress for my daughter with it. Absolutely divine. I love this collection of fabric, thank you for introducing it to me. I am sure I will be back to purchase some when we move into our new place, it is the perfect style and colours for some gorgeous feature cushions. My favourite piece are the owls, red is normally indicative of danger and lust (ironic given that lust is so often dangerous) but the owl is a wise creature. Perhaps his wise mind can control the emotion of lust making it less dangerous! One can only hope. I would LOVE to use the Goose Bubbles in magenta as a bold & dramatic backdrop for a dessert table. Beetle Bugs patchwork ball for Master One to start with...oh, and must have Running Beetle shorts. What an awesome prize - thanks for the opportunity!!! I love the colours of the Forest elementals range, but the owls in the new range are super cute!!! I would make some bean bags, pillows and throws for my kids' new rumpus room (when hubby finally finishes it!!) so my 3 little girls will be comfy and cosy when they watch a movie!! It was just so hard to choose! The next project an Oliver + S playsuit for my nearly 3 year old. Any of the gorgeous prints would be grand, but some Beetle Bugs would be fun for summer. Thank you for introducing me to such a wonderful designer. It is such wonderful eye-candy. Oh.. I love saffron craig!! My faborite collection is still dandelions.. I can never choose between the pink and yellow. I am loving the new owl range though. My daughters room is due for a makeover as she starts school next year, so I'm thinking.. Cushions, bedding, diary cover, library bag and covering tin cans for pencil holders and covering a couple of small boxes to hold her bits and pieces on her desk..
Forest elementals range is just gorgeous! I would love to make travel pillows, small backpacks and gadget holders with nearly any one of the fabric designs! Just so fun and pretty! To make a dress would be a treat. So she'd love one for her dolly too! I'd love to be able to use "Elk Landscape, aqua" from the Forest Elementals range to make a throw cushion for my bed and a lampshade too. I love the Magical Lands fabric range for my little girl and the Beetle Bugs for my boys, and the Owl Fabrics range for myself. OK, I love them all!! Wow. I would definitely want the infinity in purple - love the colours and the shapes. Think they would be great to use for the lounge room - either cushions or a beautiful lap quilt for snuggling! Thank you all for entering!! It was very close...so many lovely entries and ideas....but there can only be one winner...and that is kasiabear!! Congratulations kasiabear, your entry was selected as the most creative comment, for the lovely long list of creations you would make with the gorgeous bundle of Saffron Craig fabric! We've sent you an email and hope to hear from you soon!